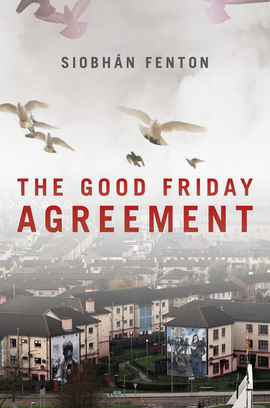 In April 1998, the Good Friday Agreement brought an end to the bloodshed that had engulfed Northern Ireland for thirty years. It was lauded worldwide as an example of an iconic peace process to which other divided societies should aspire. Today, the region has avoided returning to the bloodshed of the Troubles, but the peace that exists is deeply troubled and far from stable. The botched Parliament at Stormont lumbers from crisis to crisis and society remains deeply divided. At the time of writing, Sinn Féin and the DUP are refusing to share power and Northern Ireland faces direct rule from London. Meanwhile, Brexit poses a serious threat to the country’s hard-won stability. Twenty years on from the historic accord, journalist Siobhán Fenton revisits the Good Friday Agreement, exploring its successes and failures, assessing the extent to which Northern Ireland has been able to move on from the Troubles, and analysing the recent collapse of power-sharing at Stormont. This remarkable book re-evaluates the legacy of the Good Friday Agreement and asks what needs to change to create a healthy and functional politics in Northern Ireland. There is no political game-playing, but Fenton paints in contributions others have neglected […] Future visiting fire-persons less clued up than Fenton should grab the book, which includes a string of recent useful poll findings. Its lucidity will also pleasantly surprise a wary general reader. A timely analysis of just how Northern Ireland politics have gone off the rails, especially in the years leading up to and following the Brexit referendum. There are few places where one author has brought together so many of the thorniest issues so comprehensively – yet succinctly.